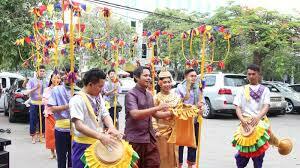 Khmer New Year is a Cambodian holiday that celebrates the traditional Lunar New Year. The holiday lasts for three days beginning on New Year’s Day, which usually falls on April 13th or 14th, which is the end of the harvesting season, when farmers enjoy the fruits of their labor before the rainy season begins. Khmer New Year is popular travel date and many brands and online stores offers big discounts for shoppers.